A special attraction of the Asa Wright Nature Centre is a breeding colony of the nocturnal Oilbird, or Guacharo (Steatornis caripensis). Located in Dunston Cave, a beautiful riparian grotto on the property, this is the only easily accessible colony known of this remarkable species. The World Wildlife Fund made a substantial contribution toward the establishment of the Centre in order to protect the colony. This protection has been very successful, and Dunston Cave maintains a stable colony. On the last Christmas Bird Count in December 2015, the colony had 183 adult birds. In April 2015 there were 172 adults, 7 eggs, and 11 chicks. The Oilbird, first described by Alexander von Humboldt in 1799 after visiting a colony at Caripe in Northeastern Venezuela, is the only nocturnal, fruit-eating bird in the World. Found only in Northern South America and Trinidad, the Oilbird spends the daylight hours roosting or nesting in caves. At night they forage in the surrounding forests for the fruit of palms, laurels, incense and camphor. They often fly as far as 75 miles from their cave in search of food. 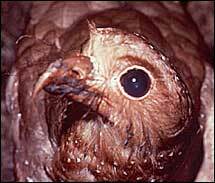 The name Oilbird comes from the young birds which become quite fat, often 50% heavier than their parents. These fat nestlings were collected and rendered down for their oil by indigenous people, and early settlers. May and June are the months when the highest number of nestlings are to be found. The Oilbird Colony at the Asa Wright Nature Centre is the most accessible known colony of these unusual birds in Trinidad & Tobago. An analysis on data for the population of oilbirds in the Dunstan Cave was conducted. The analysis looked at the overall population trend for the entire period. From 1998 further analysis on the eggs and chick population trends was conducted. The overall population growth was found to be 3.5% per year. However, it was found that from the period 1971-1984 there was an unexplainable rapid increase in population growth followed by a rapid decrease and then another increase before the population growth became stable. There no clear modal figure derived due to the fact that the population experienced active growth. Ten percent (10%) of the study time (54 years) the population was found to be less than 100 birds; 53% of the time the population was between 100 and 150 birds: 36% of the time the population was between 150 and 200 birds. On two occasions only, the population was more than 200 birds; in both cases it was 203. During the calendar year, the first half of the year was shown to be more important for the bird as there were more adults, eggs and chicks observed during this time. In spite of this, there was no clear correlation of statistical consequence between adult, eggs and chicks for any calendar year, suggesting that there were errors in the egg and chick counting exercises. Information regarding the effect of environmental factors on the population for any particular year was not available for consideration. During the study period, 2013 was the only year when no eggs were observed for the first three months. This must be cause for great cause for concern since on average 48% of the total eggs counted was between January to March. It is recommended that the counting process be improved to recognize the physiological states of juvenile and immature birds also. Annual population averages for the period 1998 – 2013 were used together with annual counts from 1969 to 1996 to determine adult population trends. Sample average was used to determine average annual population of adult bird, egg and chick population from 1998-2013. while data for 1969-1996 was obtained from direct counts. A comparison of averages was done for each calendar month from1998 to 2013 for adult birds, chicks and eggs. Regression analysis with Gretl 32 was used to determine correlation among the adult birds, chicks and eggs . The rapid increase and decrease in the population numbers during the years 1971-1987 remained largely unaccounted for as there is no supporting evidence for an increased population growth from 1976-1980 as seen in Figure 1. The effect of a predator–prey interaction in this scenario seems plausible from the view that the rapid population growth from 1974 – 1980. This could be possible if the predator population had greatly declined for a period. As the bird population increased, the predator population followed by an undetermined lagged value. As the predator continuously preyed on the bird population and its numbers began to decrease rapidly, there was also a decrease in the predator population until it both populations reached an equilibrium level. This rational is supported in particular by the data from 1983, 1984 and 1985 when the population count decreased from 48 birds in 1983 to a single bird in 1984 and increased back 50 birds in 1985. It is possible that the predator entered the cave causing the birds to take flight temporarily prior to the 1984 count leaving one single bird and returning prior to the 1985 count. The doubling of the population from 1984 to 1989 would appear that there was an annual growth rate of 18%. Even though there is no egg and chick data for that period, the available egg and chick count which is available suggests that such rate of growth is highly unlikely. Therefore one has to conclude that as the predator problem declined, birds gradually returned to the cave over time. During the first half of the year the counting exercises revealed increases in the adult birds, eggs and chicks. However, the increase in adult birds was not as prominent as the increase in eggs and chicks. Most eggs were counted in February, January, April and May respectively with an average of 4 eggs per month. The months in which the least eggs were counted were August, September, October and November respectively with an average of less than one egg. No eggs were found during August, September and October while there was an average of 1 egg for counts done in November (as seen in Figure 3). Most chicks were found during the months of February, March, April, May and June respectively with an average of 9 chicks. September, October, November and December were the months where the least chicks were found averaging 2 chicks per count. February was found to be the month for which egg production peaked, remaining consistent with peak chick production in April as an egg takes 33 days to hatch (figure 4). Even as it appeared that the egg chick relationship was more evident than that of adult – chick relationship and the adult – egg relationship, there was no clear significant link among these three production parameters. Regression analysis where each production parameter was used as a dependent variable and regressed against the other two parameters used as a independent variables supports this (Model 1 ,2 &3). The negative correlation between egg and chick resulted from the fact that egg numbers counted were most likely underestimated. As the counting process took place, many eggs were missed as they were laid in locations which made it difficult to be observed during the exercise. No calendar year during the study period seem to have favoured the bird population in terms of the three (3) parameters. The year 2002 however was not a good one because all of the production parameters were among the four (4) least values of that category (see table 1). The average growth rate from 1969 to 2013 was 3.5% per annum. The cave appears to have a carrying capacity approximating 200 adult birds. Generally the birds breed more during the first 6 months of the year with the most important months being January and February. The months of August, October and November are the months of least activity. There was no correlation between the numbers amount of adult birds with the amount of eggs or the amount of chicks suggesting that eggs and chicks were not properly accounted for. No available information intrinsic or external was identified to be linked to the increased or decreased in numbers of adult birds, eggs or chicks for any particular year. During the first half of the year the birds should be counted more frequently. A fourth-nightly count will provide better data. An attempt should be made to recognize other physiological states of the bird’s life cycle between chick and adult bird (juvenile or immature birds). This will give an indication as to the quantity of eggs that were missed during the counting process. Remarks regarding environmental factors which could have a direct and indirect impact on adult population, egg production and chick production should be recorded. Further studies should be conducted to determine average foraging periods and its likely predators. A special attraction of the Asa Wright Nature Centre is a breeding colony of the nocturnal Oilbird, or Guacharo (Steatornis caripensis). Located in Dunston Cave, a beautiful riparian grotto on the property, this is the only easily accessible colony known of this remarkable species. The World Wildlife Fund made a substantial contribution toward the establishment of the Centre in order to protect the colony. This protection has been very successful, and Dunston Cave maintains a stable colony. On the last Christmas Bird Count in December 1998, the colony had 142 adult birds. In June 1999 there were 33 chicks. 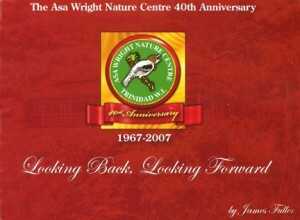 Established in 1967, the Asa Wright Nature Center is one of the premier conservation NGOs in Trinidad and Tobago. 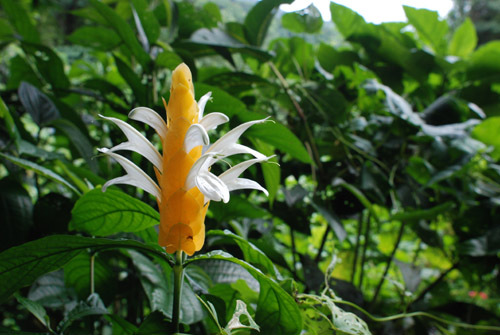 With an original mandate to preserve the wildlife and natural habitats in the Arima valley, the Center has since expanded its conservation programmes to include support for land acquisition for conservation; habitat restoration; conservation education; community-based conservation; and research on the tropical ecosystems of the island of Trinidad. Among the Nature Center’s unique biological assets is a colony of oilbirds (Steatornis caripensis). 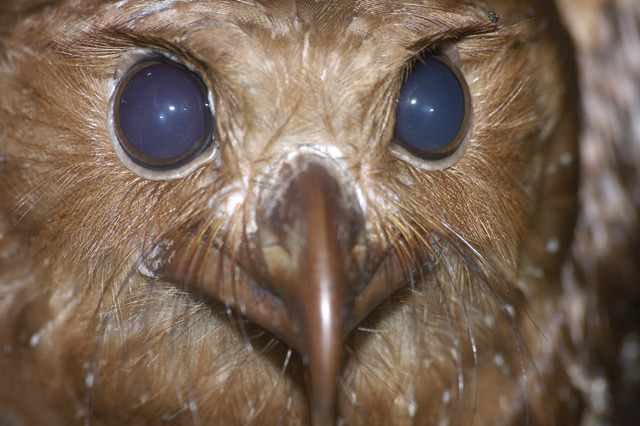 The oilbird is a rare nocturnal fruit-eating bird, which uses echolocation to navigate and forage in the forests at night. Apart from these peculiar characteristics, this species also has very specific nesting requirements, as it breeds and roosts primarily in caves. The Asa Wright oilbird colony, which currently stands at 131 birds, is one of the most secure oilbird colonies on the island because of the level of protection afforded the cave by virtue of its location on the Springhill Estate of the AWNC. Oilbirds are very sensitive to disturbance at their roosting/nesting caves. The Nature Center has had the experience of the birds completely abandoning their roosts due to visitor disturbance. As a result, the AWNC carefully manages access to the oilbirds at Dunston Cave to ensure that the birds are not disturbed by visitors. This means that only a limited number of visitors are actually able to see the birds at their roosting/breeding sites. Nonetheless, recent increases in the numbers of visitors to the Center, as well as the need to increase the degree of conservation awareness about the oilbirds and their habitats, requires the development of new opportunities for visitor interaction with the birds without disturbing them. 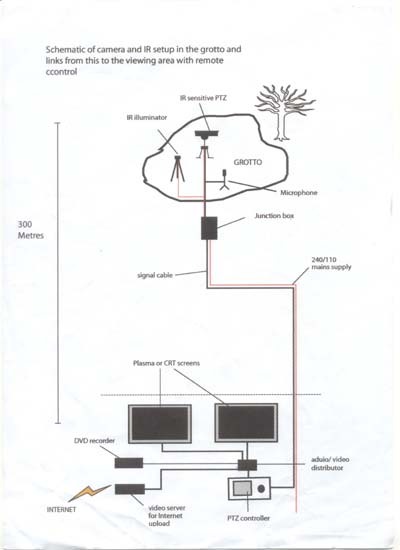 In this context, we propose the installation of a remote infra-red camera system at the Dunston Cave. This system would allow visitors, in particular the numerous school children who visit the Nature Center, to be able to see the birds in real-time, without the associated disturbance. The system would consist of a remotely controlled infrared camera, and an infrared floodlighting system installed at Dunston Cave. The camera would be controlled by a joystick at the verandah of the main-house and/or the Ian Lambie Education and Community Outreach Unit. This joystick would enable greater visitor interaction, through a Òhands-onÓ real-time manipulation of the visitor viewing experience. The video from the cave would be fed to two 21″ flat-panel monitors (one each on the verandah and the education and community outreach unit). The new system would also allow the Nature Center to provide streaming internet-video of the birds at the cave, which would be used to develop a web-page for schools on the oilbirds of the Nature Center. The Asa Wright Nature Centre, Caligo Ventures & Martyn Kenefick team up again for The Big Sit! I guess the format of Birdwatcher’s Digest‘s The Big Sit! worldwide bird survey is pretty well known by now. On one designated day every year, you bird-watch from dawn till dusk at one particular site never straying outside of a five meter radius and document the number of species you see or hear. This year, the event took place on the weekend of 8 – 9 October. We chose the Saturday. 4.30am – the start of The Big Sit! vigil. The sky clear, with stars aplenty and not a breath of wind. Yesterday, a Spectacled Owl called repeatedly from in front of the balcony between 5.00 – 5.30am. The noise is like someone wobbling a piece of hardboard. But yesterday doesn’t count. It needed to call this morning … and its silence was deafening!! That early alarm call in my room was still welcome though, the first Ferruginous Pygmy-Owl began its repetitive hooting at 5.15am and, shortly after Richard from Houston Audubon joined me, an Oilbird flew across straight in front of us and disappeared in the direction of Dunston Cave. Around 5.40am, with more than a hint of light in the sky and as Randall was replenishing the fruit and sugar water feeders, the early bird risers began a breakfast frenzy. By 6.00am, the species tally was already 18. Amongst the seven species of hummingbird on view were both Tufted Coquette and Long-billed Starthroat. In addition, the voices of Little Tinamou, White-bellied Antbird, Trinidad Motmot, and Bright-rumped Attila announced their presence for the register. By 7.00am, with both Ann and Mukesh together with Lynn and Johnnie from Caligo joining the team, the running species total had reached 44, including Asa Wright favourites such as Bearded Bellbird, Great Antshrike, Squirrel Cuckoo, and male Blue Dacnis. Another two hummingbirds, White-necked Jacobin and Little Hermit were also documented as late attendees. It is obviously impossible to keep this kind of pace going and during the next two hours, despite being joined by Johanne, our Education Officer and guides Elsa, Barry, and Caleb, we only amassed a further 17 species including Channel-billed Toucan, Guianan Trogon, and Black-faced Antthrush. A calling Ferruginous Pygmy-Owl attracted the attention of both a pair of Black-tailed Tityra and scolding Golden-fronted Greenlet, whilst overhead the warming air allowed both White and Common Black Hawks to stretch their wings together with a whole host of Chestnut-collared, Band-rumped, and Gray-rumped Swifts. Then the fun and drama started. I do not believe that there is anywhere else in Trinidad where, from one position, you can watch both Black and Ornate Hawk-Eagles. At 9.10 an adult Ornate accompanied a thermal of five Turkey Vultures, admittedly always distant but quite identifiable. Not to be outdone, only 25 minutes later, two adult Black Hawk-Eagles took to the air much, much closer to the balcony with a third bird, possibly a juvenile, calling from dense cover on our eastern ridge. Only four more species were added in the period up until noon. Gray-lined and Zone-tailed Hawks and Short-tailed Swift and a female Green-backed Trogon, which came in to feed on the ripe Jamoon fruiting tree. Following a rather shy female Red-legged Honeycreeper feeding in a Trema tree, we reached last year’s total of 69 species at 12.57pm with a somewhat distant calling Golden-Olive Woodpecker. No more than five minutes later, the sound of a Lineated Woodpecker announced the equaling of our current record of 70 species in 2014 and then, almost immediately, the record was smashed when an obliging Forest Elaenia arrived right in front of us. Everyone who has birded tropical forest knows all too well that species diversity takes a tumble during the afternoon hours. Heavy showers of rain also limit what you can see. So it was that by 2.10pm, having added both Lilac-tailed Parrotlet and a soaring Magnificent Frigatebird, we finally amassed a new Asa Wright The Big Sit! record of 73 species. I stuck it out until 5.30pm but other than wonderful repeat fly-bys of one of the Black Hawk-Eagles, there was nothing further to trouble the notebook. We will do it all again at next year’s The Big Sit! – 73 is beatable, and 13 hours watching from within a five metre circle is even fun. Thank you Asa Wright for the endless cups of coffee. Postscript – 7.00am the day after – adult Gray-headed Kite flew down the valley – why didn’t it do that yesterday!? ……… Read the complete article on the 2015 Big Sit! here ……. Graham White is a biologist and a consultant ecologist who was elected to serve as the Board Chair in March 2015. He majored in Zoology and Botany for a BSc from UWI and an MSc in Ecology from the University College of North Wales Bangor. After graduating he joined the Department of Life Sciences at UWI St Augustine for two years, first as a teaching assistant and then as assistant lecturer. He subsequently spent 14 years in at the Caroni Research Station where he worked on ecological pest management, primarily on rice and citrus. His career shifted towards project management and business processes and he is currently Director of Quality Assurance at a private tertiary level institution. He still however provides ecological consultancy services. 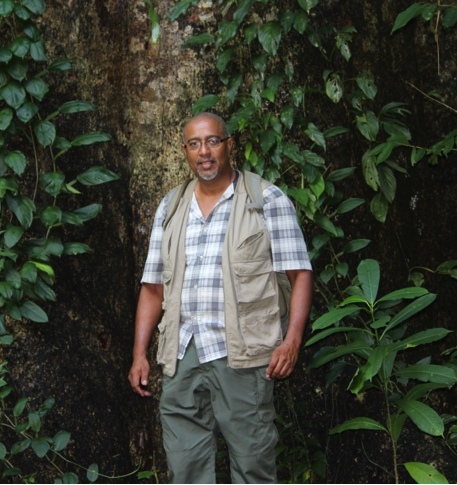 He has extensive practical knowledge of the biodiversity of Trinidad and Tobago, is an avid birder and a member of the Trinidad and Tobago Rarities Committee. 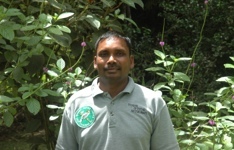 He is a member to the Trinidad and Tobago Field Naturalists’ Club (TTFNC), Neotropical Bird Club and Caribbean Ornithological Society. He serves as the Assistant Editor of the Living World Journal published by the TTFNC. Graham brings a pragmatic approach to conservation based on ecological principles, practical land management and a process approach to all management. Following his U.S. Army military service from 1960 – 1963 he obtained his degree in Business Administration and Accounting from Pace University. Phil then had a career in the business world as a Corporate Systems Analyst at CBS, Columbia Records, and at Loews Hotels and Theaters designing production, cost accounting and cash flow systems for a variety of operations in the hotel and entertainment industry. Phil later returned to school obtaining a B.A in Zoology from the University of California – Davis. Following his graduation, Phil’s career with the National Audubon Society began in 1974 as Manager of the Richardson Bay and the San Francisco Bay Wildlife Sanctuaries (~ 6,000 acres) and Director of the Western Environmental Education Center in the San Francisco Bay Area. Along with sanctuary management Phil also developed model education programs on the ecology of San Francisco Bay that are still being conducted today. 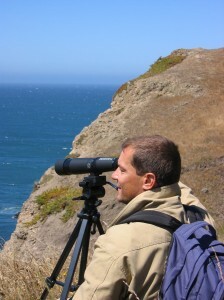 His work during this period also resulted in his publication as editor of several symposia and scientific programs – “Wildlife and the Multi-Purpose Reservoir – Mitigation” “Status of the California Condor” “Peregrine Falcon Populations of North America” “Owls of the West – A Status Report” “Bird Conservation in Western Mexico”. As a Master Bird Bander Phil also ran a bird-banding station and participated in research work on White-crowned Sparrow populations. Phil was an officer and board member of the Western Field Ornithologists. Active as a volunteer as well, Phil and his wife Margaret are the founders of the Davis Audubon Society (Yolo County, CA) a university-based chapter with a national leadership role in riparian habitat conservation. 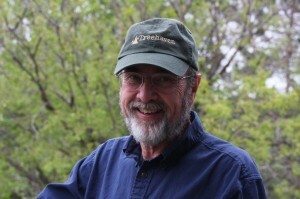 Phil moved to Connecticut in 1980 where he had been appointed as Director of the National Audubon Society’s Greenwich Environmental Education Center and its 1,000+ acres of sanctuary property, educational facilities and gift shop operations. He also took over management of the Society’s four university-accredited adult education programs at camps and lodges in Connecticut, Wisconsin, Wyoming and Maine. Phil both directed and taught in these programs, primarily in teacher education, as well as managing and hiring the staff for these four programs. As the Center evolved under Phil’s direction it took on a larger role as the Society’s National Environmental Education Center and managed a number of other programs most notably Audubon Adventures, the national youth education program of the Audubon Society that had some 500,000 children in 16,000 school classrooms around the country. Phil was responsible for overseeing the material development including the monthly students newsletter and the accompanying classroom teacher’s guide as well as the production and fulfillment operations. 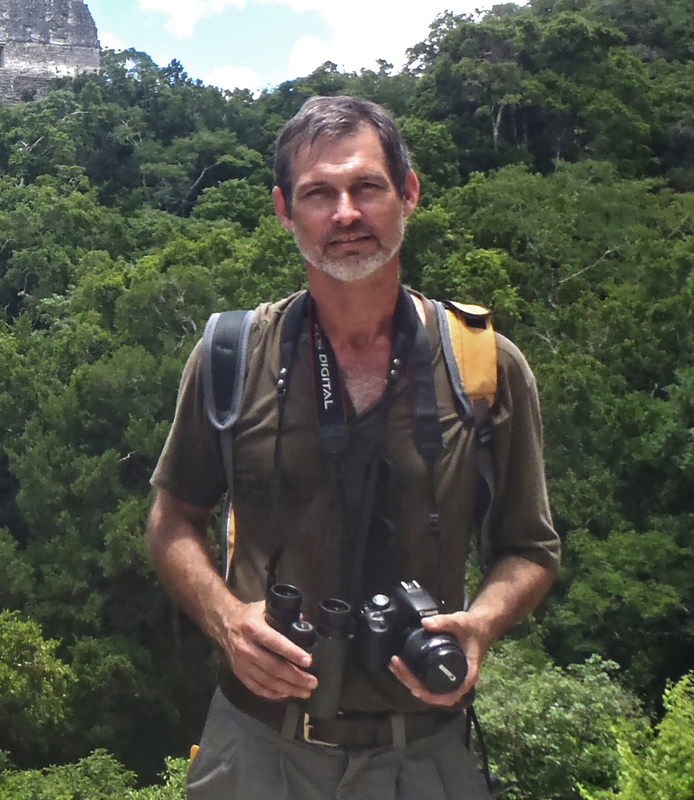 While still with Audubon, Phil and his wife Margaret formed their own travel company in 1982 – Caligo Ventures came into being as a birding tour operator. Throughout the remainder of his career with Audubon, Phil was also an integral part of the management of Caligo Ventures. As its President, Margaret managed the agency and it’s daily operations while Phil designed and implemented the promotional and marketing strategies utilizing his many strong professional and personal connections and wide-ranging networks across the birding world. Phil went on to serve as Vice-president of three departments of the National Audubon Society – Management Information Systems; Grass-roots Programs; as well as the Acting VP for Education Division, with an annual budget of $5 million. 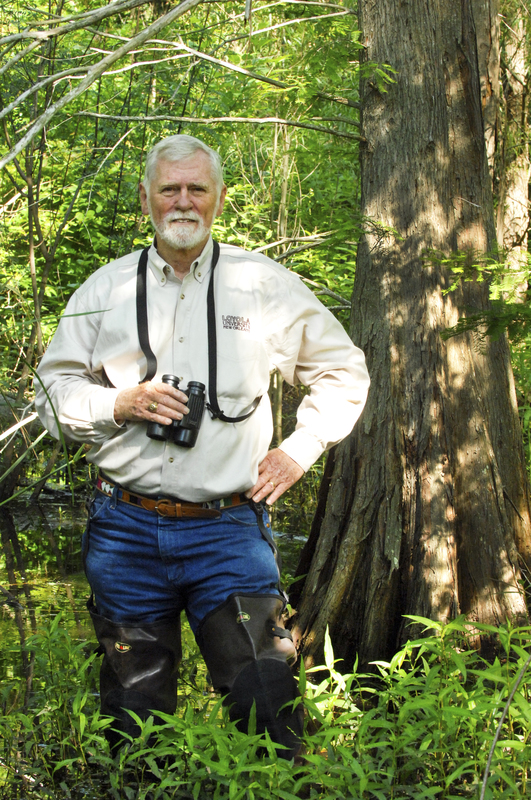 A major part of his role throughout his career with Audubon was in the area of Environmental Advocacy through the development of a national Grassroots Network of Audubon citizen activists. Lobbying at the state and federal level ranged from his early work on the Alaska Native Claims Settlement Act in the early 1970s to legislation on Clean Air, Clean Water, National Forest Practices and many other important national environmental issues. 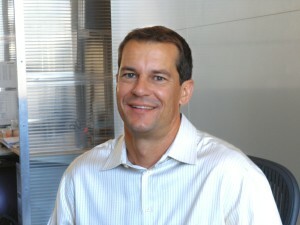 Phil left Audubon in 1995 and founded a technology-based company – Collaborative Technology Group (CTG). CTG provided database, internet technological support, and website design to a number of national and regional environmental organizations such as Yellowstone Ecosystems Institute, Grand Canyon Trust, American Hiking Society, Appalachian Trail Conference and the Potomac Conservancy to name a few. 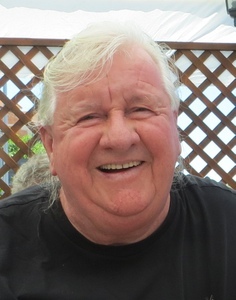 In 2001 Phil turned over operation of CTG to his partners and devoted full time to Caligo Ventures at their office in Key West until they sold their business and retired in 2009. He and his wife Margaret, along with their Golden Retriever, Max, currently live in the historic neighborhood district of Kenwood in St. Petersburg, FL. 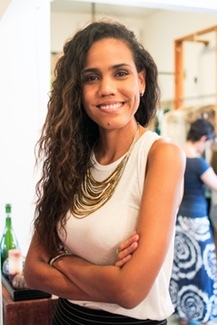 Jeunanne Alkins is a creative director and content developer with over 15 years experience. Her studio (Everything Slight Pepper) specializes in branding and publications for clients; accolades include multiple ADDY awards, 2-time Ministry of Competitiveness Idea 2 Innovation winner, T&T Chamber of Commerce Entrepreneur of the year finalist and American Chamber of Commerce incubatee. She is also a children’s book author and illustrator (Ready.SET…Hatch!) and producer of a retail children’s line – ESPjr, distributed locally and regionally through the Sandals hotel chain. Content in development includes – “Bim and Bam”, a cartoon set in the Caribbean and “The Mini-ficent 7”, a book and play set series about historic Caribbean architecture. Most Recently, the “Bim and Bam” TV series pitch made its regional debut at KingstOOn Animation Festival 2016 in Jamaica, walking away with two grand prizes – first place in the “Best Concept” category and second in the “Pitch Competition”. Jeunanne is passionate about children’s media and the difference design can make in how children learn. Courtney is the President and CEO of Eleven Inc., a nationally recognized integrated marketing agency based in San Francisco, California. With clients like Apple, adidas, Virgin America Airlines, Visa Inc., Facebook, Yahoo, Mitsubishi Bank of Tokyo, Sun Valley Resort, Viator and AAA (auto club, travel, insurance), Eleven has deep roots as a creative resource for big brands, social media companies and the travel industry. Courtney holds a bachelor-of-science degree in Vertebrate Zoology from the University of California at Berkeley, where he studied under the late ornithologist, Ned K. Johnson. He spent a decade during his formative years working for the National Audubon Society as a Junior Naturalist (a program that both of his children have joined as well), and continues to be an active member of the California birding community. Courtney has done innumerable interviews and published several articles on subjects ranging from marketing to bird census results to rare bird sightings. As the son of a public school teacher and an advertising executive, and shaped by his love of natural history, Courtney pursues business opportunities that are committed to bringing value to people’s lives. At Eleven Inc, he has found the professional home where great creativity and great purpose are combined to make good things happen in the world. Dr. Judith Gobin became a member of the Board of the AWNC in 2005 and served as Chair of the AWNC Board from November 2010 to February 2015. 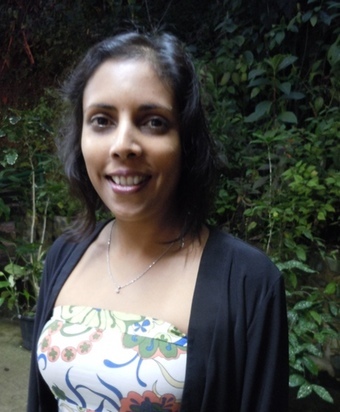 Dr. Gobin is a Marine Biologist with tremendous environmental and ecological experience in the marine and coastal areas of Trinidad and Tobago. She holds a Ph.D (1994) in the field of Marine Biodiversity (Univ. of Exeter/Plymouth Marine Laboratory, U.K.) and an M.Phil. (1988) in the field of Marine Biology/ Pollution Ecology (Univ. of the West Indies, St. Augustine, Trinidad). Dr. Gobin is a Lecturer (Oceanography and Marine Biology and Coastal Ecosystems Management ) in the Dept. of Life Sciences. She has published widely in scientific areas in international scholarly refereed journals. Dr. Gobin previously worked (16yrs) in the Environmental Quality Research (EQR) Group at the Institute of Marine Affairs (IMA), Trinidad. She also works as an Environmental Consultant throughout the Caribbean in the fields of Marine & Environmental Science and Environmental Law. Dr. Gobin continues to work on a number of environmental projects (terrestrial and coastal) with local, regional and international agencies and also in other Caribbean territories. She is presently working on an International Community-University Research Alliance (ICURA) project, Managing Adaptation to Environmental Change in Coastal Communities: Canada and the Caribbean, that links community members and university researchers from Canada with members of the Caribbean community. The project is in support of research on coastal adaptation to environmental change including the impacts of storm surge and sea-level rise on susceptible coastal communities. 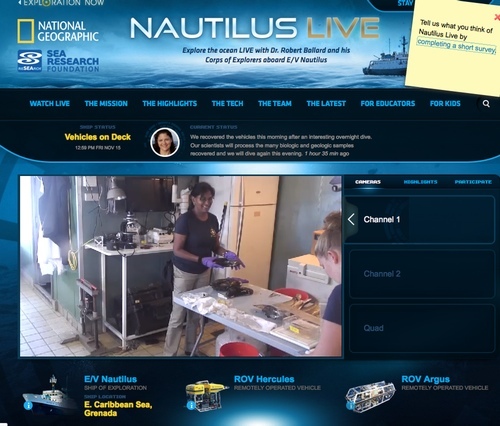 DR. GOBIN SERVED AS VISITING RESEARCH SCIENTIST ON THE 2013 NAUTILUS EXPEDITION. 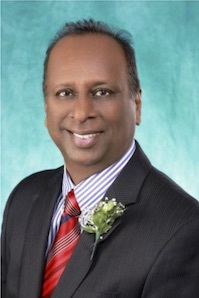 Dr. Gobin continues to make a significant contribution at a local and a National level and was recently re-appointed to the Environmental Commission (Court) of Trinidad and Tobago (part-time) for period May 2013 to May 2016. As Chair of the Asa Wright Nature Centre’s Board, Dr. Gobin was able to effect policy change after direct dialogue with the Minister of Energy, the Min. of Planning and Development and the Min. of Housing and the Environment. The effective change being, that the activity of Quarrying (under 150 acres) was returned to the CEC process under the jurisdiction of the Environmental Management Authority. Rodney has had a very distinguished career in the Petroleum Industry joining Amoco Trinidad Oil Company as a Petroleum Engineer on graduation. He worked his way up through positions of increasing responsibility locally and with international Amoco Subsidiaries ending his career with Amoco Trinidad as Vice President – Operations Services. In that same year he joined Petrotrin as President, a position he held for four years. Following his tenure at Petrotrin, Mr Jagai left the industry and pursued a full-time life of academia being a part-time instructor in Petroleum Engineering at the University of the West Indies, St Augustine Campus during his industry years. 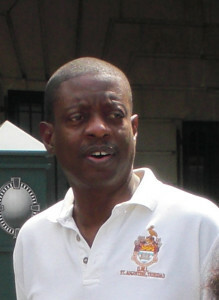 He was then appointed Acting President of the University of Trinidad & Tobago a position from which he recently retired. He currently serves as Academic and Management Consultant to the Kenson School of Production Technology, Chairman of the Executive Committee and Executive Coach to the Kenson Group of Companies. He is a Practicum Supervisor for the MBA Programmes at the Arthur Lok Jack Graduate School of Business and teaches Petroleum Management and Corporate Governance in the MBA programmes at CTS College of Business. He is also second examiner for UWI Open Campus MSc in Management Studies and Project Management. 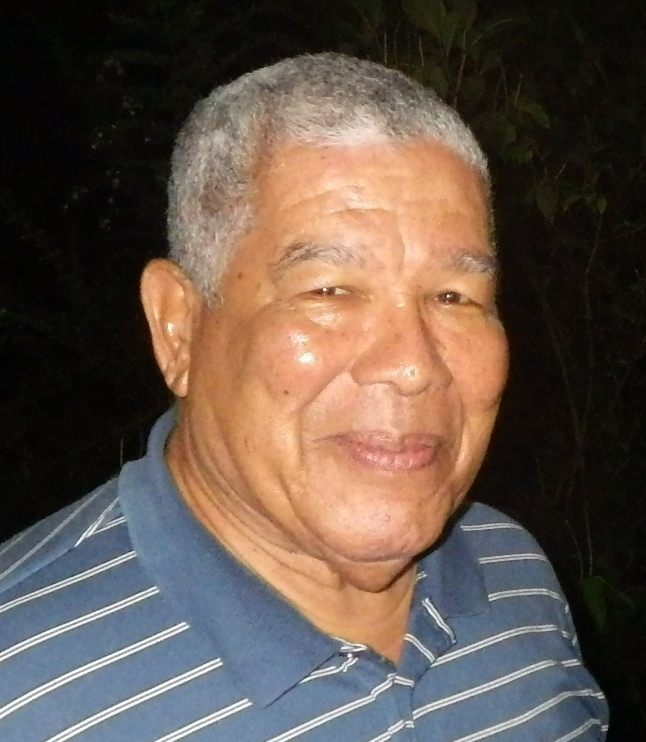 He served on the boards of Carib Brewery, ANSA Technologies, Carib Glass and Petrotrin. Mr Jagai is the holder of a BSc (First Class Honors) in Chemical Engineering from the University of the West Indies, St Augustine Campus and an MSc in Petroleum Engineering from the University of Tulsa, Ok., USA. He was recently accepted as a Fellow of the Institute of Learning & Management (FInstLM) of City & Guilds and a Fellow of the Energy Institute (FEI) of UK. He is an avid environmentalist, bird watcher and steelpan aficionado. Having left school at 18, Martyn spent 27 years working for an international insurance company in the UK. Initially his role was that of an underwriter but moved into sales and then management in a number of positions throughout the UK. His final few years were based in Glasgow, Scotland where he became both Regional Manager, Scotland and Call Centre Operations Manager for a division of the Company. He took early retirement at the age of 45 and emigrated to Trinidad in 1999, marrying his Trinidadian fiancée the following year. Romano MacFarlane is a Wildlife Biologist and Head of the Wildlife Section of the Forestry Division from March 2011. His responsibilities include wildlife research and wildlife protection. He is a member of the Wildlife Conservation Committee and Chairman of the Honorary Game Wardens Committee. Prior to this position he has worked in several capacities including within the tourism sector as a hotel Night Auditor, the Ministry of Education and the Ministry of Science, Technology and Tertiary Education as a Program Coordinator for similar job training programs, the Ministry of Social Development as a Regional Coordinator for a human development program and the poultry industry as a Production Technician. 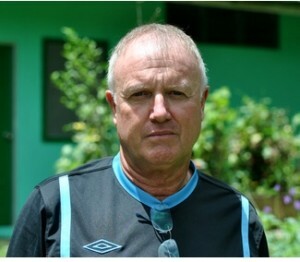 He started the Tobago arm of the Trinidad and Tobago Field Naturalists in 1991. He has obtained a BSc in Biology from the University of Winnipeg in 1987, a BSc in Agri-business Management from UWI in 1996 and an MSc in Tropical Animal Science and Production from UWI in 2000. Steve Maximay is Managing Director of Science-Based Initiatives, a virtual consulting firm “positively impacting the FATE of the Caribbean” where FATE refers to Food, Agriculture, Tourism and Environment. A Plant Pathologist by initial training his range of interests and competence now includes several areas of agro-ecological significance. He has worked in all fourteen countries of the Caribbean Community and was a member of the Technical Committee that drafted the first Risk Management Manual for Climate Change in the Caribbean. Steve brings his commitment to sustainable, ecologically-sound development to the Board of the Asa Wright Nature Centre. Corky McReynolds, PhD, CPF, is Founder and Principal of LeadTeam Consulting, LLC. LeadTeam builds leadership and team capacity for organizations to create direction and take action to accomplish their mission. Corky was the Director of the Treehaven Field Campus and a Professor of Human Dimensions of Natural Resources in the College of Natural Resources, University of Wisconsin/Stevens Point. At UWSP, Corky developed and taught graduate courses in strategic planning, non-profit management, facilitation skills, and leadership. He has facilitated and trained facilitators for strategic planning processes at nature centers, state agencies, professional associations, and national organizations. Corky’s research, teaching, and consulting focuses on leadership and enhancing organizational change through effective individual and group processes. His workshops are known for high activity with a touch of humor, involvement and impact. His peers have honored Corky as recipient of the National Leadership Award from the Association of Nature Center Administrators (2004), the Mel Davidson Leadership Award from Leadership Oneida County (2015), and Professor Emeritus from the University of Wisconsin-Stevens Point (2016). Corky is a Certified Professional Facilitator (CPF, 2013), a Certified DiSC Trainer (2014), and a Certified Meyers-Briggs Type Indicator (MBTI) Facilitator (1998). Raymond A. Mendez II was born in 1947 and raised on the East Side of New York City. 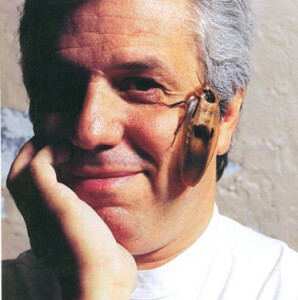 He founded his firm Work As Play (WAP) in 1980 after spending 14 years at the American Museum of Natural History as a taxonomist in the department of Entomology and then senior principal artist in Exhibits. His work includes participation in the Ocean Life Hall, Plains Indian Hall, Man in Africa Hall, Invertebrate Hall, Reptile Hall, Peoples of Asia Hall as well as innumerable temporary exhibits. One of his fondest memories is of his first visit to Trinidad where he spent three weeks living at Simla, exploring the jungle and learning techniques for the capture and transportation of a full size army ant nest. Thus began his love affair with Trinidad, its wildlife and people. He designed and collected the first colony of army ants to be shown live in the US at the AMNH. The colony was exhibited in honor of that year’s Nobel Prize award for the study of animal behavior. When he first established WAP, Ray focused his attention on the photography and publication of wildlife stories, motivating Natural History magazine to publish four articles that promoted the wildlife of Trinidad and as a result the AWNC. His other work projects were heavily weighted towards the communication industries. Having created the special effects or wrangled (he coined the term “insect wrangler”) critters in over 200 television commercials and hundreds of still ads, including the creation of such iconic images as the Ronald McDonald happy meals toys that later became know as the Hamburgler and Ronald McDonald, the egg for the movie poster Alien (he coined the term “In Space No One Can Hear You Scream”) and the Absolute vodka fish campaign. Many TT residents should remember this ad as it was prominent for several years at the entrance to main lounge at the Piarco airport. His skills also lead him to be hired as project principal in movies such as Silence of the Lambs, Joe’s Apartment and Creepshow. Ray was asked to return to museum design work by the director of the Museum of the Hudson Highlands. That project, incorporating traditional museum quality design, advertising message delivery systems and movie storytelling techniques, was such a hit that he was asked to design the first two garbage museums in the US. This was quiet a challenge as he had to encourage guests to be excited over things they had just put in the trash. Totally by accident, his love of mole-rats (he had done several magazine articles on them) propelled him to work in zoos. His interest in conservation mixed into storytelling has led him to work on dozens of significant projects including Disney’s Animal Kingdom in Florida (where he continues to serve as an adviser to the company), Trail of the Elephants at the Melbourne Zoo in Australia and the Kid’s Zone at the Tacoma Zoo in the state of Washington. Ray’s philosophy at Work As Play focuses on creating teaching environments unique to the institutions he serves. His teams perform their work within a framework of designers, architects, artists, and educators who work closely with an institution’s staff and other consultants to create exhibits that not only serve the public, but also are fun, visually exciting, informative, and easy to maintain. His forte is in creating environments that teach in a casual, friendly atmosphere. As he feels the ultimate client is the always the visitor, his goal is to design exhibits that motivate people to ask questions, to change their own behavior and attitudes and to help prepare them to understand areas of future concern. He has, during his entire tenure on the board of the AWNC, tried to bring these ideas and ways of working to the forefront of the decision making process. Marina formed an early passion for the environment growing up in her family home in the hills of Lopinot, an unspoilt area of tropical forest. In 2001, she obtained a joint honours degree in Environment and Resource Studies and Biology from the University of Waterloo in Canada. Convinced that through the practice of law she could better serve as a guardian for the environment, Marina read for a degree in law obtaining her Bachelor of Laws in 2004. She was called to the Bar in 2006. Marina maintains a private practice as an attorney at law and an environmental auditor. Marina has also completed mediation training at the Hugh Wooding Law School and obtained O.S.H.A. 29 CFR 1910 General Industry Certification. Marina’s litigation practice has achieved a number of environmental milestones in Trinidad and Tobago. She appeared in the first direct private party action under the Environmental Management Act as well as the first successful challenge to the environmental regulator in approving the establishment of an aluminum smelter. She most recently successfully challenged the water pollution rules as being in conflict with the polluter pays principle. Much of her practice is dedicated to public interest litigation on environmental and planning matters. Marina is also a part time lecturer at the University of the West Indies and has been a member of the Green Fund Advisory Committee since 2012. David is currently the Curator of Ornithology for the Wildlife Conservation Society, Bronx Zoo. His efforts at the WCS organization involve building on the strong commitment of animal care and conservation that has become synonymous with the WCS. A vital focus is being placed on conservation programs and imparting the importance of these programs within the WCS facilities, which include stemming the illegal trade of Congo African Grey Parrots, assessing Andean Condor populations throughout South America, conservation of endangered flamingo taxa, and others. David is embracing new technologies that will be incorporated into these husbandry and conservation efforts to improve the management of future programs. Previously, David served as Director of Animal Collections at the Cincinnati Zoo & Botanical Garden. During that period, he successfully launched a transformation in the Animal Division; with increased engagement and empowerment of the staff interacting with zoo visitors. This imparted greater understanding of our living world with the public and gave the animal staff a platform to share their passion and knowledge of the animals under their care. During his tenure in Cincinnati, David also successfully served as the very first Curator of Birds for twelve years prior to his role as Director of Collections. He had a significant impact on the exhibits at the Cincinnati Zoo & Botanical Garden, spearheading the “Dragons” exhibit, featuring Varanoid taxa, the Wings of the World Exhibit, Night Hunters, revamping the displays and activities within the Children’s Zoo and creating walk through interactive displays involving avian and Testudine taxa. David has also consulted on additional projects including exhibit and conservation programs in New Zealand’s Antarctic Centre and other zoos and aquariums in the United States. In addition to his work at zoos, he serves as President of Feather Link, Inc., a non-profit organization connecting birds and people through education and conservation. Through this program, he conducts field research in Chile to garner a better understanding of the Rockhopper, King and Macaroni Penguin populations and to develop conservation strategies for these seabirds in concert with the Chilean Government. David is a member of the Seabird Islands and Introduced Predators program whose purpose is to network with collaborative partners, worldwide, to understand the importance of seabirds and introduced predators for island function and conservation. He serves as a collaborative partner of the Overseas Territories Environment Programme that is coordinating conservation efforts for the Rockhopper Penguin, through the development of an overall regional species action plan. David has participated in field studies within the Choctawhatchee River Basin, to investigate the possible nesting and foraging patterns of the Ivory-billed Woodpecker. His efforts also include the coordination of releases, involving zoo specimens, such as Andean Condor, Manchurian Cranes, Guam Rails, Bali Mynas, Bald Eagles and Barn Owls, in conservation programs. David also co-directed efforts with collaborative partners to reintroduce the Blue & Gold Macaws back into Trinidad. David has published a number of popular and peer reviewed articles involving avian conservation and husbandry, along with visitor behavior studies. He has also served as a consultant on several productions, including “In the Womb: Animals” and NOVA’s “Evolution of Laughter”. Luke Rostant is a wildlife biologist in the Department of Life Sciences, Faculty of Science and Technology at the University of the West Indies, St. Augustine Campus and is the programme coordinator of the Diploma/MSc in Biodiversity Conservation and Sustainable Development in the Caribbean. A son of the soil, he grew up in Maracas Valley, St Joseph where he spent much of his time exploring the forest surrounding him in Acono Village. This upbringing undoubtedly influenced his passion for wildlife conservation, and he pursued his undergraduate degree at the UWI St. Augustine, where he majored in Botany and Zoology, graduating in 2000 with first class honours. He received a UWI postgraduate scholarship to pursue his MPhil in Zoology, where he conducted research on the growth, maturity, and activity patterns of the Manicou Crab, Rodriguezus garmani. He received a Fulbright faculty improvement scholarship in 2004 to pursue his Phd in Interdisciplinary Ecology at the University of Florida, Gainesville. 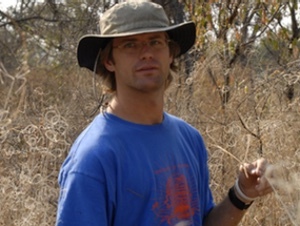 Luke’s research was conducted in the Caprivi Region of Namibia, where he examined the efficacy of a community-based natural resource monitoring system called the Event Book System, using the data collected in communal conservancies to model temporal and spatial factors affecting human wildlife conflict. Upon completion of the PhD in 2011, Luke returned to the UWI where he was soon hired by the Department of Life Sciences as an instructor in the MSc programme. 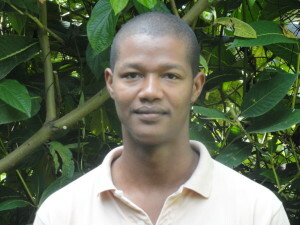 Throughout his life, Luke has sought opportunities to enhance his understanding of the natural world, participating in a study of lizard ecology of the islands of the North Sound of Antigua and a study of bat ecology in the Victoria Mayaro Forest Reserve in Southeast Trinidad, to name a few. The latter ignited his interest in the bats of Trinidad and Tobago and led to the formation of an NGO in 2015: the Trinidad and Tobago Bat Conservation Research Unit (also known as Trinibats). Together with his work on bats in Trinidad, Luke has supervised countless students on their projects in the MSc programme, from work on participatory GIS in the Caroni Swamp, to camera trapping of mammals in the Arima Valley. He is also a consultant on many wildlife projects in Trinidad and Tobago, including the National Restoration, Carbon Sequestration, Wildlife, and Livelihoods project; the Aripo Savannas Environmentally Sensitive Area Greenfund project; and the Caroni Swamp Research Development Impact project. Luke’s interests align directly with those of the Asa Wright Nature Center, and is committed to helping the Center pursue its mandate of environmental stewardship and education. Sandy Sawh strongly believes that tourism, if done right, is the key to environmental conservation. This conviction developed while pursuing her first degree in Hospitality and Tourism Management and her MSc. Natural Resources and Environmental Management both were awarded from the University of the West Indies. Her main area of research entailed an assessment of coral diseases as her specialisation is coastal and marine affairs. Notwithstanding, she shares an equal love for all things terrestrial. Sandy is currently the Industry Standards Specialist at the Tourism Development Company. Her work centres on developing and implementing measures to ensure sustainable development of the sector and the proper management of human impacts on the environment while ensuring high levels of visitor satisfaction. Sandy has represented Trinidad and Tobago at several international environmental and tourism conferences and has contributed to the development of national tourism standards. She is an avid scuba diver and hiker but generally enjoys all outdoor activities and sees it as her duty to protect our fragile and valuable ecosystem. ROBERT A. THOMAS, (BOB), Ph.D.
Dr. Robert A. Thomas is an academician, a business/environmental community liaison, a media source for environmental news, and a family man. He was Founding Director of the Louisiana Nature Center, where he served as the liaison for the community in information pertaining to science education, environmental issues, and natural history. Dr. Thomas is professor of Mass Communication, holds the Loyola Chair in Environmental Communication, is adjunct professor of Biological Sciences, sits on the Environmental Sciences Faculty, and is the Founding Director of the Center for Environmental Communication at Loyola University New Orleans. He is the recipient of the 2011 Dux Academicus award at Loyola. 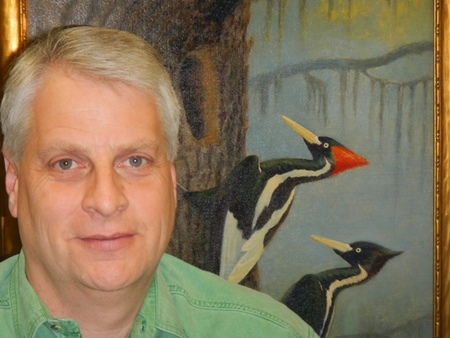 Dr. Thomas received his Ph.D. in Vertebrate Zoology from Texas A&M University and has held adjunct professorships at the University of New Orleans, Tulane University, and Louisiana State University. He is the past President of the Association of Nature Center Administrators and is a member/chair of several academic, business, and civic boards (such as the Louisiana Children’s Museum, New Orleans Botanical Gardens Foundation, and Louisiana Master Naturalists of Greater New Orleans) and committees. He served on the Accreditation Commission of the American Association of Museums and as Chair of the Environmental Advisory Committee for the Strategic Petroleum Reserve. The top two honors accorded nature center administrators have been received by Dr. Thomas: The Elsie Naumburg Award (1983, Natural Science for Youth Foundation) and the Professional Leadership Award (2001, the Association for Nature Center Administrators). He was also named Conservation Educator of the Year (1986, Louisiana Wildlife Federation), awarded the Margaret Douglas Medal for Conservation Education (1994, The Garden Club of America), and named Diplomat of the Year (New Orleans Diplomacy Council, 2008). Dr. Thomas’s activities at Loyola include an active teaching program in environmental communication and biology, many activities relating to coastal issues communication, working in the realm of environmental intervention where industry and communities collide, environmental communication programs in tropical areas (principally Belize, Trinidad, Guatemala, and the eastern Caribbean), nature-based tourism, and environmental education and landscaping. 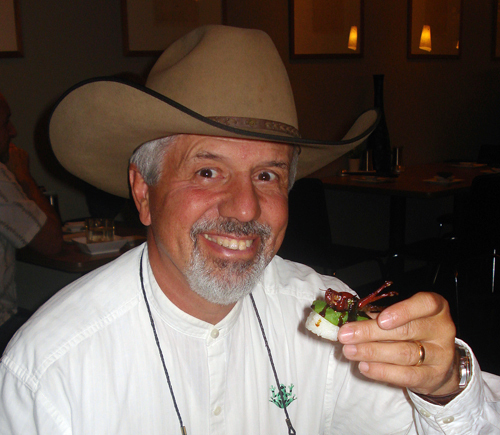 He has published many papers in the fields of herpetology (reptiles and amphibians; specializing in the Neotropical snake fauna) and nature center administration. As mentioned, his most avid interests are in environmental communication, restoring America’s WETLAND (Louisiana’s coastal wetlands), tropical natural history/interpretation, and nature center-based environmental education. 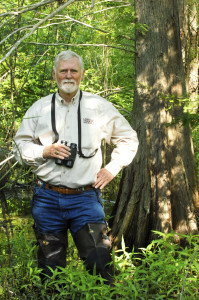 Along with his wife and other colleagues in the Department of Special Education and Habilitative Services at the University of New Orleans, Bob has contributed actively in the field of curriculum development for environmental education. Bob fervently believes that environmental solutions will be the result of open and honest communication, coupled with trust and integrity, among stakeholders. Len’s firm practice for 40 years with Rendigs, Fry, Kiely & Dennis focused on construction litigation, with an emphasis on architect and engineer liability and construction project disputes. He has extensive trial experience in the representation of architects and engineers, owners, and contractors in construction disputes, defect claims, delay claims, drafting and negotiating construction contracts, contractual disputes, and insurance coverage. Currently Len has taken a position as General Counsel at Jedson Engineering, Inc. in Cincinnati, Ohio. Len received his undergraduate and master’s degree from the University of Cincinnati and his law degree from Salmon P. Chase, College of Law. After Len’s first visit to AWNC he fell in love with the Center and is dedicated to see what he can do to assist in growing and preserving this spectacular nature preserve. WILLIAM CONWAY, (BILL) , Sc.D. William Conway began his career as a zoologist at the Saint Louis Zoo, became curator of ornithology at the New York Zoological Society’s Bronx Zoo in New York in 1956 and eventually director of the zoo (1961), general director and president of the Society (which changed its name to Wildlife Conservation Society in 1993). Upon retiring in 1999 he was named senior conservationist and continues to participate in the Society’s wildlife conservation programs. Under Conway many new and influential exhibits were added to the Bronx Zoo and the New York Aquarium and to three smaller borough zoos (Manhattan, Brooklyn and Queens), which were added to the Society’s management and rebuilt. The Society’s education program expanded its environmental teaching efforts nationally and internationally and its animal health program was enlarged to provide wildlife veterinary services overseas. In the zoo field, Conway lead a major upgrading writing the Association of Zoos and Aquariums its first Accreditation Program and its widely copied Species Survival Plan and initiating it Field Conservation Committee. Most important was his refocusing of the Bronx Zoo as field based wildlife conservation organization working to save wildlife in nature over much of the world. By 1999, WCS had founded wildlife conservation programs in more than 50 nations. Conway first visited Trinidad at the invitation of William Beebe, his staff colleague, and subsequently visited the Asa Wright and the Nature Center repeatedly. 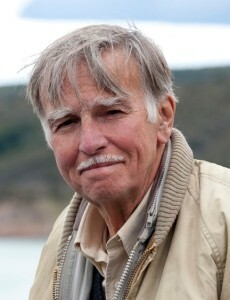 Conway is the author of more than 260 popular and technical articles, books and reports on wildlife and its conservation including Act III in Patagonia published by Island Press in 2005. He has received many awards including Commander of the Golden Ark, awarded by Prince Bernhard of the Netherlands, the NYZS gold medal, the Audubon medal, the Shaw medal, the Heini Hediger Award, the Peter Scott SSC medal, the conservation awards of the Saint Louis and San Diego Zoos and three honorary doctorates. EDGAR JULIAN DUNCAN, (JULIAN), Ph.D.
Edgar Julian Duncan is a Professor Emeritus in Plant Science, of the St. Augustine campus (Trinidad) of The University of the West Indies from which he retired 15 years ago. 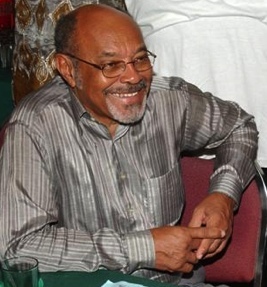 He obtained his undergraduate degree (majoring in Botany and Zoology) in 1960, from the then University College of the West Indies (external college of London University) in Jamaica, and proceeded to the University of St. Andrews (Scotland) where he obtained his doctorate in Fungal cytology and genetics in 1963. He was appointed a lecturer in Botany at the St. Augustine campus in 1963 and rose through the ranks to the position of Professor. In 1975 he attended the Freie Universitat in Berlin Germany on a Deutsche Akademische Austauschdienst Dienst (DAAD) Fellowship, where he developed an expertise in Plant Tissue Culture, which became his special field for the remainder of his University career, and for which he was given a Lifetime Achievement Award, by the National Institute of Higher Education (Science, research and Technology ) NIHERST in 2002. He sat on the Board of the Asa Wright Nature Centre for a number of years and was Chair of their Education Programme for some time. Subsequent to his retirement from the Board, he was named an Honorary Life Member. CAROL JENNIFER JAMES, nee WARD, Ph.D.
Dr. James is a biologist and policy specialist of international renown with thirty-nine years of professional experience in several Caribbean, African and Pacific countries. 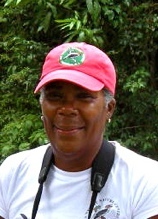 She headed for ten years, Trinidad and Tobago’s Wildlife Section of the Forestry Division and subsequently had the signal honor of being selected by the United Nations Development Programme to work as the world’s first, of forty-one, Global Sustainable Development Advisors agreed at the 1992 Rio Conference on Environment and Development. Her work in this capacity covered the Caribbean region for eight years. She is a married mother of five successful university graduates, and a grandmother of eleven. Dr. James is currently Chairman of the Guardian Life Wildlife Trust (GLWT), Life Member of the Board of the Asa Wright Nature Centre (AWNC) which she chaired between 2003-2009 and Board Member of the Bishop Anstey High School /Trinity College East (BATCE). Early retirement from formal work at age 51, in October 2001, enabled Dr. James to continue pursuing more directly, her passion for assisting people and communities in pursuing their individual and collective forms of development. 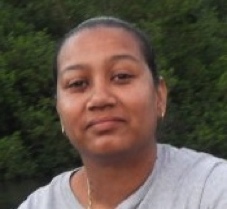 Her efforts focused mainly on continuing the work she initiated during the late 1980s in east and north coast beaches of Trinidad on sustainable turtle conservation, using nest viewing as a basis for eco-tourism, while enhancing other forms of rural development. These included expanding community linkages in the work of the AWNC and facilitating the building of rural capacity for saving the unique Trinidad Piping Guan or Pawi through the GLWT. Some rural communities in north and east Trinidad have become self-sustaining and therefore economically viable, as a result of seminal efforts to stimulate ecotourism and other entrepreneurial activities initiated by Carol and her teams of colleagues more than two decades ago. Dr. James was honored in 2011 by the University of Trinidad and Tobago (UTT) as one of its Honorary Distinguished Fellows and also by the University of the West Indies (UWI) in 2011, as one of its 50 Distinguished Alumni, both for her contributions towards people-centered environmental management and sustainable development in Trinidad and Tobago. 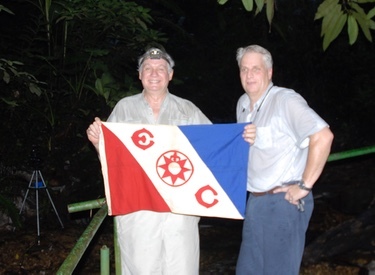 Following a long and distinguished volunteer career as the Secretary of the Trinidad & Tobago Field Naturalist Club, Ian Lambie was nominated and subsequently elected to membership of the Board of Management of the Asa Wright Nature Centre by one of the Centre’s founders, Dr. Joseph Copeland. Ian served as the Secretary to the Board in 1976 and at the Annual General Meeting of 1977 he was unanimously elected to the post of President on the nomination of the out-going President, Dr.Copeland. His nomination was then seconded by the famous wildlife artist and another founder of the Centre, Don Eckleberry. In January 1989, Ian was appointed Executive President and later, in November 1998, he left the board to be appointed to the newly created post of President/CEO of the organization, a post that he held until his retirement in 2001. Ian has been the recipient of many awards including, in 1995, a National Award of Trinidad and Tobago, “The Hummingbird Medal – Gold “ in recognition of his work in Environmental Conservation. Christine Toppin-Allahar is an Attorney-at-Law, specialising in environmental, planning and land law, with qualifications and experience in legislative drafting. Prior to qualifying as a lawyer, she held a degree in Geography and Economics, with postgraduate qualifications in Geography and Planning, as well as a Certificate in Integrated Surveys for Natural Resources Development. She has over 35 years experience in the field of planning and environmental management in the public and private sectors, and over 20 years experience as a practicing attorney and international consultant on environmental, planning and land law, policy and institutional arrangements. In the field of planning, she spent ten years in the public service, with the Town & Country Planning Division of the Ministry of Planning and Development in Trinidad & Tobago, and with the Ministry of Housing, Lands and the Environment in Barbados. In the private sector she has worked in Trinidad & Tobago with Trintoplan Consultants Ltd., Alpha Engineering and Design Ltd., and Rapid Environmental Assessments Ltd. She is a professional member of the Trinidad & Tobago Society of Planners (TTSP) and an affiliate member of the Association of Professional Engineers of Trinidad & Tobago (APETT). As a lawyer, Christine has worked in the Attorney General’s Department, Trinidad and Tobago, and in private practice. She is a member of the IUCN Commission on Environmental Law and has served as a consultant on planning, environmental management, institutional strengthening and legislative drafting to various international organizations, including the World Bank, IADB, CDB, UNDP, UNCHS, UNECLAC, PAHO/WHO, FAO, OAS, DFID and the EU and has worked in every Commonwealth Caribbean country, as well as several non-English speaking countries in the region, as well as outside of the Caribbean. She has also engaged in voluntary work as a member of various environmental NGOs. In this capacity she has served as an executive member of Caribbean Conservation Association (CCA), and is an Honorary Life Member of the Board of Directors of the Asa Wright Nature Centre (AWNC) in Trinidad & Tobago. She has participated in many international seminars and conferences on planning and environmental law and has several published works on planning, environmental and land law. During the academic year 2010-2011 she served as Course Coordinator and Lecturer in International and Caribbean Environmental Law at the Faculty of Law, UWI Cave Hill Campus, Barbados. Previously, she served for several years as a part-time lecturer in planning, land and environmental law in the post-graduate programmes in Planning & Development, Land Administration and Environmental Engineering in the Faculty of Engineering at the University of the West Indies, St. Augustine Campus, and also lectured in Environmental Law and Policy in the Masters Programme in Environmental Science & Management at the University of Trinidad & Tobago. 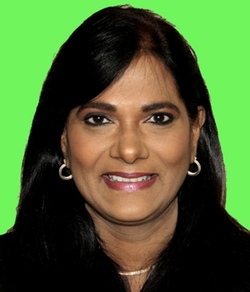 She has also served as an External Examiner for the Masters Programme in Legislative Drafting at the University of the West Indies, Cave Hill Campus and a guest lecturer for McGill University and Santa Clara University. I left an office job in an accounts department in the city of Port of Spain to become employed at Asa Wright Nature Centre, and I have no regrets. My interest in nature started with my love of outdoors and my membership in the Sacketeers Hiking Club. 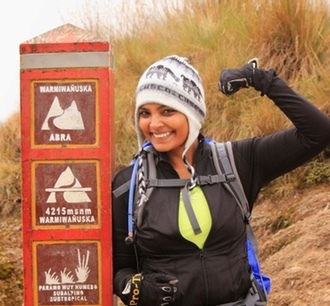 It allowed me to explore my favourite past time, exploring Trinidad, by routine hikes and hashing treks. Over the past eighteen years at AWNC, I have developed valuable friendships with day visitors, guests and staff members. During my term of employment I have successfully pursued courses in Practical Accounting, Business Administration, and Tourism. My latest venture is pursuing my MBA in Business Administration with a Major in Tourism and Hospitality Management with the Australian Institute of Business. Presently I have attained the Post-Graduate Diploma in Business Management and I am currently working on my Thesis. Asa Wright is a unique workplace, it is dynamic and people-centred. My most unforgettable experience was approaching a guest only to realise that she was bleeding, through talking to her and her companion, I was able to identify that she was bitten by a poisonous snake, being part of that team ensuring effective and efficient arrangement and treatment, was nerve-racking yet I knew we responded with rapid coordination . Knowing that she survived, leaving Asa Wright in the highest regard with respect to service and hospitality is exceedingly satisfying. Being level headed and flexible are soft skills I believe blend in with the culture of providing service and knowing that when people leave and express levels of satisfaction exceeding their expectations, that is quite rewarding. I believe that by enhancing staff engagement, the positive impact on the organisation can be profound.
. Daily Guiding Tours at the Nature Center.
. Lecturing on the Flora and Fauna.
. Displaying video, DVD on the Culture, Climate Food and Treasured Folk Tales of Trinidad and Tobago.
. Conduction Lectures to Visiting School Children of the importance of Preserving the Environment.
. Informing and Educating Visitors on Ecosystem. 14th -15th Sept 2002 Represented Asa Wright Nature Center at a National Youth Forum and Lectured on Biodiversity Environmental Conservation and Sustainable Development at (UWI).
. Responsible for conduction the Annual Christmas bird count.
. 2001 Internship at the Aullwood Audubon Center and farm in Ohio USA for ten weeks .
. 2004 Internship at the Delaware Nature Society in the UAS.
. Courses Undertaken: Basic Tour Guide Training, presentation Skills and professional Guiding Techniques.
. March 2005 Holder of a Magistrate Tour Guiding License of Trinidad and Tobago. Johanne is a Conservation Officer at the Asa Wright Nature Centre. 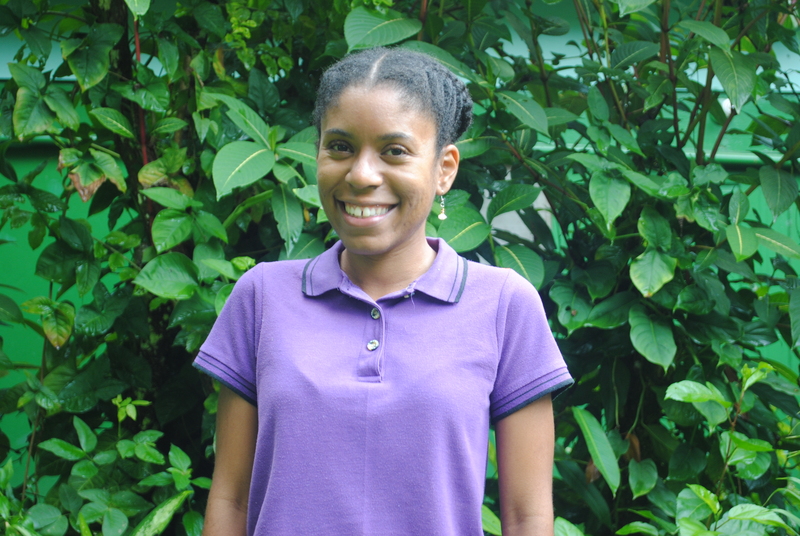 She currently works on Asa Wright’s Valley Schools Outreach Program, an environmental education program targeted to primary schools in Trinidad’s Arima Valley. During the school holidays she also works with camps that visit AWNC to learn about the wildlife that exists at AWNC, and in the rest of Trinidad and Tobago. She believes in the importance of teaching children to appreciate nature. Johanne received a B.Sc. double major in Biology and Environmental and Natural Resource Management from the University of the West Indies, St. Augustine. She is interested in all aspects of the fields she has studied. Also a keen writer, Johanne contributes articles about wildlife and happenings at AWNC, to the in-house Bellbird Newsletter. She also enjoys nature photography and is continuously inspired by the beautiful wildlife which can be seen just outside her office door. I have been a guide at the Asa Wright Nature Center for 4 years. I am one of 2 certified bird banders in Trinidad and Tobago. I love working on the outdoors and interacting the guest from all over the world. Being at Asa Wright I have gained a wealth of knowledge and continue to experience new things everyday. I hope is that one day persons will become more environmentally aware, and take a greater interest in their environment. Caligo Ventures is the exclusive United States representative of the famed Asa Wright Nature Centre and Lodge in Trinidad & Tobago. In 2014 we celebrated the 30th Anniversary of the incredible partnership between Caligo Ventures and the Asa Wright Nature Centre!! Caligo Ventures is now a program of the 15 year-old ecotour company, Naturalist Journeys, LLC. owned by Peg Abbott. 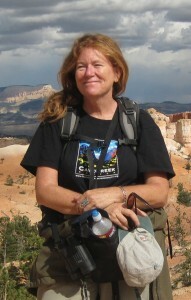 Peg has been designing, guiding, and organizing natural history tours for more than 25 years. Her guiding and tour operations work has taken her to seven continents, from Alaska to Africa, Argentina, and beyond. Peg has built up extensive partnerships through running tours a with a number of non-profit organizations including the World Wildlife Fund, Massachusetts Audubon Society, The Nature Conservancy and others. Prior to launching Naturalist Journeys, LLC in 1998, she worked as a Group Travel Planner for Off the Beaten Path in Bozeman, Montana. Peg was an instructor and then Director of a resident, ranch-based ecotourism program for adults, for the National Audubon Society for 14 years. Through the Audubon Camp of the West and its other affiliated programs Audubon led the way in pioneering a style of learning vacation that is widespread today. Her role as Director of this 30-room guest ranch, located in the remote Whisky Basin Big Game Refuge at 7,500 feet elevation in the Wind River Mountains of western Wyoming, gave her broad hands-on experience in all aspects of lodge management. 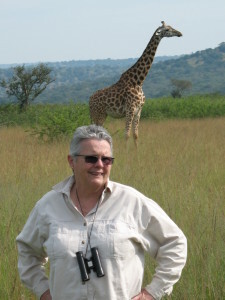 Peg holds a MS Degree in Forestry and Wildlife and in the past has conducted research on several bird and mammal species. Her interests include all aspects of natural history, conservation, and geology. After 20 years in and around the Yellowstone area, Peg relocated in 2003 to the birding mecca of Portal, Arizona where she now resides. 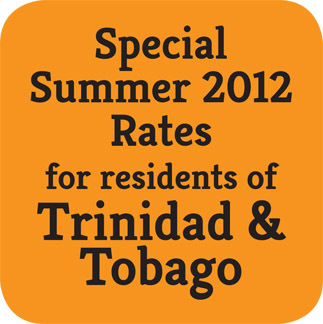 Please contact our office in Trinidad & Tobago at 868-667-4655 or by Reservations. NOTE: Rates are Per Person and are in $ U.S. These rates include a 10% service charge, 10% Room Tax, and the Government’s 12.5% Value-added Tax. They also include three meals per day, afternoon tea, and a complimentary rum punch each evening. A complimentary guided tour of the Centre grounds and a visit to the famous Oilbird cave is included only on stays of three or more days. TRANSFERS are $75.00 per person, round-trip Centre/ Piarco Airport. Please Note: According to the policy of the Centre, children under the age of 8 cannot be accommodated. All bookings require a $100 deposit per person within 14 days to confirm the booking. Cancellations more than 30 days prior to Reservation Date will result in a refund less a $25.00 handling charge per person. Cancellations within 30 days of the reservation date will result in a refund less the cost of one night’s accommodation per person except during the period December 16 – March 31 when there is a charge of two nights accommodations per person. Pay for three nights & get one night’s accommodations & Oilbird trip FREE! All inclusive single/double room package with buffet meals & ground tours FREE! Stay at the world famous Asa Wright Nature Centre for accommodations, guided tours, conferences, buffet meals and events. REQUIREMENTS: Must be a resident of Trinidad & Tobago. Accommodation is based on availability. Deposits are required. Offer runs from May 1 to August 12 and September 15 to October 31, 2001. Come visit with us and enjoy our special low “locals” rate. Our local rates include a 10% service charge, 10% room tax, and a 15% Value-added Tax. They also include three meals per day, afternoon tea, and a complimentary rum punch each evening. A complimentary guided tour of the Centre grounds and a visit to the famous Oilbird cave is included ONLY on stays of three or more days. Asa Wright Nature Centre Individual Room Bookings: All bookings require a deposit per person within 14 days to confirm the booking. Full Payment is due 45 days prior to arrival. Cancellations within 30 days of the reservation date will result in a refund less the cost of one night’s accommodation per person except during December 16 – March 31 when there is a charge of two nights accommodations per person. Inspired by our recent 40th Anniversary celebrations, Looking Back, Looking Forward charts the story of the Asa Wright Nature Centre from its time as a coffee and cocoa plantation, in the late 19th century, through its transformation to a nature centre in 1967 and onwards to become the world-renowned environmental location it is today. It brings together, for the first time, historic photographs and documents which throw light on the struggles and sacrifices made by key figures throughout its history. More than a history though, this publication contains stunning pictorial sections on the Centre’s flora and fauna, including the mysterious oilbirds of Dunston Cave; the Centre’s buildings and land; its famous visitors; community initiatives; environmental education; governance; 40th Anniversary events; and future developmental plans. With a Foreword by eminent author, and founding Board member, Richard ffrench, Looking Back, Looking Forward is an ideal memento for visitors or for those who simply want to find out more about this celebrated Caribbean nature centre. The selling price is TT$150.00 or US$25.00. Please call the Centre at 667-4655 for more information on acquiring the excellent history of this remarkable facility.